HIGHLANDS  On the week of July 11  July 17 the Cyclones journeyed to Cooperstown, New York to participate in the All-Star Village Tournament. This team consisted of 10 players from within a 30 mile radius of Highlands. This team faced teams from all over the United States and one team from Canada. The Cyclones overall record was 10-0. The boys battled in the championship game from a 3-run deficit to make a come back with three consecutive home runs to tie the game and ended up winning 11-10. The Championship Game was against Victory Baseball from IL. Hunter Hearn and Ricky Stelzer each hit two home runs in the championship game. Ricky Stelzer, Hunter Hamm and Austin Pulcher hit consecutive home runs to tie the game. Andrew Fregia hit a solo home run to put the team ahead. There were seven Home Runs total in the Championship game by the Cyclones. Once this happened the offense was fired up. More base hits were made by the Cyclones and going into the top of the 6th we were up by two making the score 11-9. Stelzer was the last run to cross the plate to secure our win. Victory was batting and scored one run to make the score 11  10. The teams defense made great plays to get two outs and our pitcher Mason Furlong struck out their #4 batter swinging to gain the team the final out and win the Championship. The team put up some impressive stats during the tournament. Everyone on the team hit at least one home run in the tournament. The team hit a total of 40 home runs for the tournament. The Team Batting Average was over .500. Stelzer won the Home Run Derby with 10 Home Runs Colby Shumaker won second in the Round the Bases race. Andrew Fregia with the help of a great defense pitched a no hitter in game # 6. Austin Pulcher, Matthew Bumpas, Shannon Broussard, Hunter Hamm, and Jared Nolan hit their first ever home runs in Cooperstown Colby Shumaker, Hearn and Fregia each hit a Grand Slam. As a team they scored 135 runs and only allowed 23. 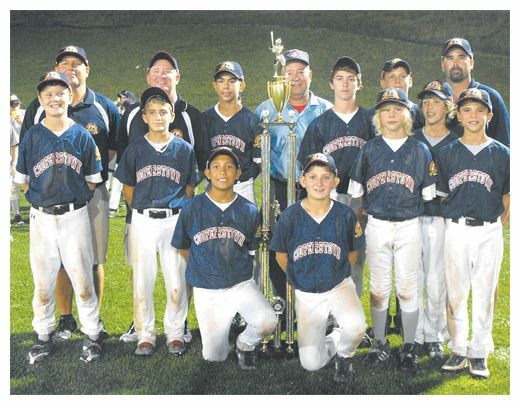 Each member of the team was inducted into the Cooperstown Youth Baseball Hall of Fame. This experience was a chance of a lifetime for them and they are to be commended for the way they represented their community. Special thanks go out to Brian and Shawna Hamm. Brian has been the Head Coach of this team for the past 3 years and all of his hard work and dedication has been put forth to bringing the skills and talents of these players together as a team. CROSBY – Texas Dept. of Transportation (TXDoT) indicates that the connection of U.S. 90 to IH-10 with IH-610 and the overpass at the railroad at FM 2100 are both scheduled to complete near the end of the first quarter of 2011. Earlier this year, Quincy Allen P.E., East Harris County Engineer at TXDoT, stated That will be one of the best and most popular projects weve done recently. re,erring to extending U.S. 90 as a six lane highway from Beltway 8 to I-H10 and IH-610. Both East Harris County engineers and TXDoT Media spokespersons expect that the anticipated connection of U.S. 90 to Beltway 8 from IH-610 and IH-10 (the U.S. 90 Gap) will finish in the Spring of 2011 rather than the Summer of 2011 as their last projections indicated. Projections for the completion of the Overpass of the Union Pacific Railroad at FM 2100 near the cross streets of Kernohan and Jackson Bayou are predicted for April or May of 2011. The earliest projection of the completion of U.S 90 Gap is February 2011 but that seems optimistic. The total price of the completion of U.S. 90 from Beltway 8 is to be $158.3 Million as stated by the Star-Courier in Nov. 2006. The construction is in three projects built by different divisions of Williams Brothers under three different contracts, according to TXDoT Media Consultant Rachel Lewis. Lewis also indicates that all three of the contracts must be completed in order for the freeway to be open at any point, any projections that part of the freeway would be open before others would not meet the specifications of the builders. But projections for completion back in 2006 were for August 2010 and that was pushed back a year by funding problems. U.S. Congressmen Gene Green (D) District 29 and Ted Poe (R) District 2 had put $1.6 M. more in the 2005 Highway Bill to expedite the project. The new projected completion (despite of what one might have read elsewhere) was then August 2011. One might have read in January of 2009 the projection was set for completion in the Summer of 2010 Others apparent partial projections of $86 Million now seem laughable even though TXDoT saved $21 Million over original projections of $187M. Cost estimates on the most completed project due to some redesign efforts was pushed back from $62 M. to $41 M.
The project that actually links U.S. 90 to the other side of IH-10 specifically, the 6% elevation from Eastbound IH-10 to at Gelhorn to Mercury Drive was where the redesign was effective. Yes, there is a lot of steel in that project. Utility conflicts have caused some delay thus far and are expected to make the exact time of completion variable but all of the time allotted in the contracts until the Summer of 2011 are not expected to be used. stated Ms. Lewis on July 24 about the U.S. 90 Gap. Utility conflicts are also at variance of about two months for the Railroad Overpass at FM 2100. TXDoT acknowledges that expectations of March of 2011 for completion of the Overpass of FM 2100 could hold things up through May. This is part of TXDoT doing our job. said Lewis when asked how did they manage to keep the project on time. There are certainly many variables in completing highway projects and time schedules are probably as difficult to predict as any other engineering problem. Rev. Johnson extends welcome to the 23rd Annual Barrett Station Homecoming celebration, A Red & White Affair, in attendance with Ms. Georgia Doyle Provost at the speakers table. More on Page 10 of the print edition. Changes to school immunization requirements for five vaccines take effect Aug. 1 according to Texas Department of State Health Services officials. 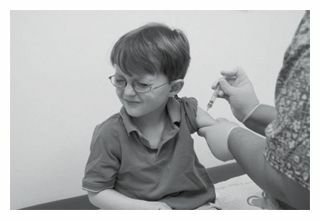 The changes were made to update the Texas elementary and secondary school immunization requirements to more closely match recommendations by the U.S. Centers for Disease Control and Prevention and the Advisory Committee on Immunization Practices. Said Jack Sims. DSHS immunization branch manager. Changes affect mainly students entering kindergarten and seventh grade. All immunizations must be completed by the first day of attendance at public and private schools. Measles, mumps, rubella (MMR) vaccine: Students entering kindergarten must have had two doses of the MMR vaccine. Students in grades 1 through 12 must continue to meet the current requirement, which is two doses of a measles-containing vaccine and one dose each of mumps and rubella vaccine. Varicella vaccine: Students entering kindergarten and seventh grade must have had two doses. Students in grades 1 though 6 and 8 through 12 must continue to meet the current requirement, which is one dose of varicella vaccine. Tetanus, diphtheria, acellular pertussis containing vaccine (Tdap): Students entering seventh grade must have had one dose of Tdap vaccine. Students in seventh grade must have had a booster dose of Tdap, but only if it has been five years since their last dose of a tetanus-containing vaccine. Students in grades 8 through 12 must have had a booster dose of Tdap if it has been 10 years since their last dose of a tetanus-containing vaccine. Menigoccal vaccine: Students entering seventh grade must have had one dose. Information about the Texas immunization requirements was sent to health care providers, schools and child-care facilities earlier this year. 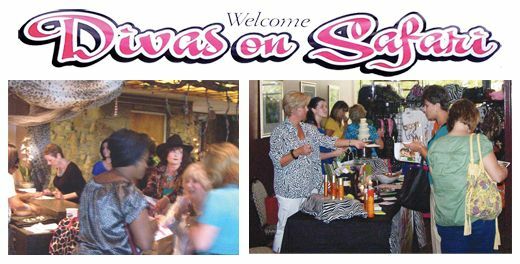 Susan Armstrong leads recently registered Divas to fun, and Gina McMillian hosts a booth. 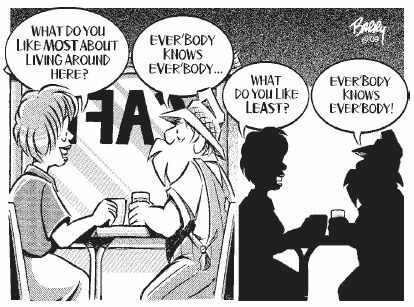 For more, see Page 10 of the print edition. 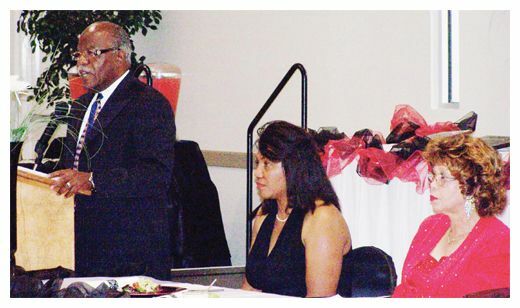 BARRETT STATION — All former Charles R. Drew alumni, Crosby High School alumni, current and former residents, family and friends of Barrett Station and neighboring communities are being invited to an annual homecoming reunion banquet that is being hosted by the Barrett Station Civic League. This year, Georgia Provost, Charles R. Drew alumnus, has been selected as the guest speaker. If there is a legend in Houston, Texas it is certainly the professional photography of Georgia Provost and Provost & Associates. Professionalism and high quality are the hallmark of her work. The studios of Provost & Associates contain photographs that show the rich culture and history of not only Houston, but Texas, Louisiana and all parts in between. Her photographic firm has been chronicling the Houston community and many communities with portraits and photographs for 61 years. Provost is a motivational speaker and a community activist who has participated in the cultural, educational, humanitarian, political and religious/ spiritual sectors of Houston life. She is a champion for the youth of Houston-Harris County. She is the consummate community volunteer and a part of the dynamic fundraising team of Helfman and Provost. For over twenty-five years, she and Alan Helfman, General Manager of River Oaks Chrysler Jeep, can usually be found working to raise money for youth and charitable organizations. Georgia is the executive director of the Youth for Christ Foundation and the Texas Southern University Bayou Bend Alumni & Ex-Students Association Inc., (Friends & Supporters). 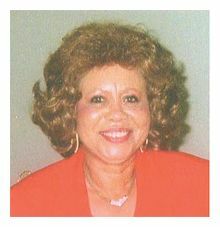 In 1998, she established the T. F. Freeman Ministers and Laity Summit and the Male Chorus Gospel Extravaganza called A Gathering of Black Men, which raised funds for the International Championship TSU Debate Team coached by Dr. T. F. Freeman. Georgia carries a level of certainty with her that is a valuable commodity in a society that has been labeled as corrupted. Provost is a proud graduate of Charles R. Drew High School and Texas Southern University and was inducted into the Wall of Honors at the TSU School of Technology. She pursued advanced studies at the University of Houston and is a graduate of Winona National School of Professional Photography. Provosts faith and identity as a catholic and a black woman are at the core of everything she is and does. She is an active member of the Our Mother of Mercy Parish, serving as coordinator of the Civil Rights Education Classes; president of PICC and a member of the Pastoral Council. Youth is her game, developing Christian values, leadership and common sense among youth. A woman of valor and courage, Provost is a native of Lafayette, Louisiana, the widow of the late Herbert J. Provost, TSUs International Championship Collegiate Tennis coach, and she is the mother of Jerome, also a professional photographer. Surely, the residents of Barrett Station will be honored by the presence of one of the communitys own successful products, Georgia Provost, on the evening of July 24, at the Barrett Station Community Center  808-1/2 Magnolia. Come and hear this great speaker, beginning at 7 p.m.! For information regarding purchase of tickets (@ $30/each), contact Melody Fontenot  league president, at  328-2289; or the vice president, Katie Reed Roberson   328-5937; or Willie B. Goodlow. Proceeds from this event will be used for the award of scholarships to the communitys youth.